Senior year is finally here. Outfitted with some trendy new clothes and a fresh haircut, you feel ready to rule the school! This year, though, you must also take on your future. Somewhere between pep-rallies, extra-credit projects and dance class, you will decide where to spend your next four years. Grab a pal and take a moment out of your crazy schedule to get started with this informative personality quiz! a. Invent an entertaining story to explain your tardiness. Ballet is a little too stuffy anyways. b. Shrug it off. Dance is great, but it’s not the most important thing to you. c. Apologize profusely. Your studio has rules for a reason, and it’s disrespectful to show up late. d. Log an extra hour at the barre after class. Dance is your passion, and your determination knows no bounds. Tomorrow is Friday night. What are you and your best friend up to? a. We’re leads in the school musical, and Friday is curtain call! b. After I spend some time with my family, we’ll cruise the party circuit. c. Hosting a themed slumber party. We’ve been planning for months! d. Re-watching “The Westside Story” DVD with a bucket of popcorn. The choreography is inspiring. It’s time to catch up on homework! Which assignment do you tackle first? a. Your art project. You are creative and love to express yourself. b. The assignment due soonest. You enjoy most subjects and don’t play favorites. c. Whichever assignment requires the most work. You are organized and methodical about your homework, which you always hand in on time. d. None. You put off your homework until the last second so you can rehearse those new dance figures a couple more times. c. Reach your full potential. a. Pioneering a new dance technique. You already have some fresh, radical ideas! b. Open a dance studio. You’d love everything about designing a successful studio, from hiring teachers to interior decoration. c. Becoming an acclaimed dance master. You’d select only the most dedicated students who would respect your strict standards. An exciting person with a wide dramatic streak, you require a program with tons of creative liberty. » Consider Hollins University (GA), which offers courses in “Imaginative Thinking, Moving and Crafting,” and encourages independent study. Your interests stretch far and wide, and you seek to balance dance with other pursuits such as school, family, friends, and hobbies. Liberal arts colleges with strong dance programs are perfect for you! Far from being a bad thing, your perfectionism makes you a great student. 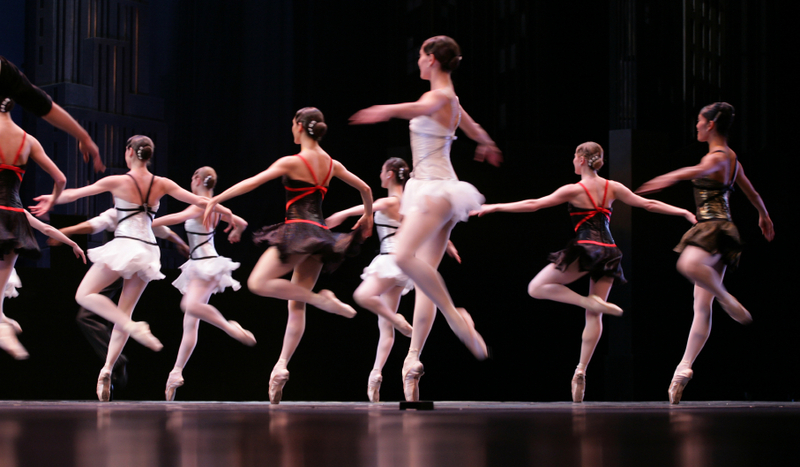 You need a dance program with plenty of structure to make sure you reach your full potential. » Boston Conservatory (MA). Their well-designed dance program will guide you to excellence. You have the talent and single-mindedness to make dance your life. Only the most prestigious programs in America will do for you. » Julliard (NY) is the natural pick, but don’t overlook lesser-known competitive options, such as The Hartt School of Dance (CT). Though most of America has never heard of these schools, the dance community definitely has.